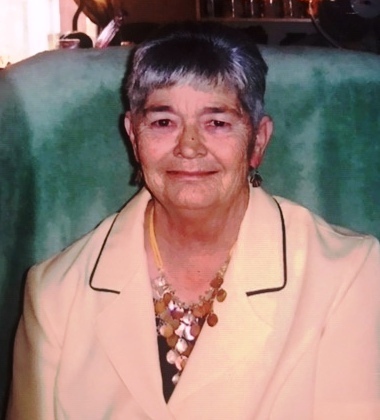 Funeral services for Linda Sue Gibson, 72, of Vilonia, AR formerly of Rayville, LA were held at 10:00 AM, Saturday, March 30, 2019 at the Faith Baptist Church, Start, LA with Bro. Joel Parker officiating. Interment followed in the Hall Cemetery, Rhymes, LA under the direction of Brown-Holley Funeral Home, Rayville. Mrs. Linda was born January 25, 1947 in Monroe, LA and passed away Wednesday, March 27, 2019 in Conway, AR. Mrs. Linda loved her family, including her dogs “Socrotes”. She is preceded in death by her husband, Jimmy Dale Gibson, Sr.; parents, Emitt and Nita Tharpe; siblings, Buddy Martin, Gene Martin, and Penny Oliveaux. Survivors include her children, Jimmy Gibson, Jr. and wife, Melissa of Rayville, Kathy Sue Mercer and husband, Bo of Oak Grove, Ronny Ray Gibson and wife, Linda of Vilonia, AR, James Ray Gibson and wife, Glenda of Vilonia, AR., and James “Pee Wee” Dale Gibson of Rayville; 20-grandchildren and 17-great grandchildren. Pallbearers were Todd Gibson, Amos Mercer, Jacob Gibson, Scott Gibson, Allen Brenan, and Tyler Clements.